You know those interview/testimonial videos where you can’t hear anything? Or see anything because it’s too dark or super pixelated? Or that are just really distracting because it’s on a train track or something? Reducing “noise” – both audible and visual – is key in finding a great interview spot. Make sure to choose a place that is relatively quiet without a ton of loud activities occurring around it. This will make it more difficult to hear the subject, which is the entire point of the video. Also, a shot with a ton of visual “noise” – random objects, people walking in and out of frame a bunch, piles of trash in the corner – is distracting to viewers and should be avoided. You want people to be fully engaged with your video content, and distractions could draw them away from the message you are trying to convey..
We know sometimes it’s unavoidable to shoot in a noisy area – like when you’re shooting interviews at a horse stable – and in that case, you would turn to some quality audio equipment, and a whole lot of patience, to help out. When picking a location for an interview, try to find an area where you have some control over lighting. Indoors: Rooms should have shades over the windows in case of harsh sunlight, and you should have the ability to turn off any overhead lighting. Outdoors: Consider shooting during the “Golden Hour” – either the hour after sunrise or the hour before sunset – when sunlight is more soft. This could prevent harsh shadows on the subject from direct sunlight. If you can’t shoot during that time, an overcast day works great as well! The best interview locations are spacious areas with plenty of options for various angles and set-ups. Larger areas allow for a shallow depth of field – keeping the subject in focus with the background blurred. You don’t want a massive, echoey room, but there should be enough space for your entire set-up and team. You also want the ability to change set-ups, especially if you’re interviewing multiple people in the same video. Changing angles keeps the viewer engaged and allows for a more dynamic flow. These three simple things can drastically affect the quality of your video interviews, and keeping them in mind during pre-production can ensure your final product is stellar. Picking the right location with minimal “noise,” controlled lighting, and plenty of room for options can truly take your interviews to the next level. 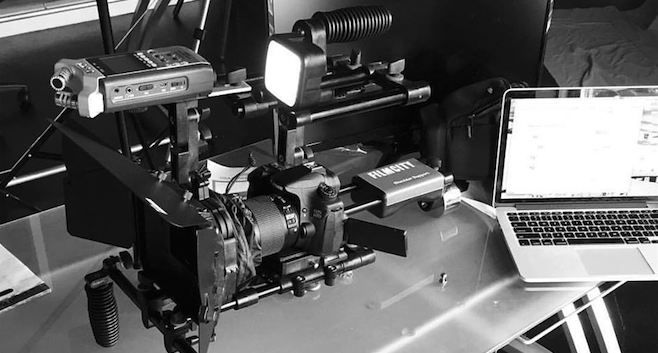 Want to work with us on your next testimonial video or use our studio space for an interview? Hit us up! So, you’ve built your YouTube channel, populated it with some organic content, and dove into the world of advertising – so you’ve done it all right? You’re now a YouTube advertising master? In order to fully understand the quality of your content and how well it engages your audience, it’s important to monitor certain data within YouTube Analytics. This is integral in learning how to best optimize your videos and positioning your efforts for success. Use the Watch Time report to see data about impressions, impressions click-through rate, views, and how long viewers watch your content. This is significant as all YouTube algorithms are focused on watch time. Impressions: How many times your thumbnails were shown to viewers on YouTube through registered impressions. Impressions click-through rate (CTR): How often viewers watched a video after seeing a thumbnail. Views: The number of legitimate views for your channels or videos. Average view duration: Estimated average minutes watched per view for the selected content, date range, region, and other filters. Watch time: The amount of time that a viewer has watched a video. This gives you a sense of what content viewers actually watch (as opposed to videos that they click on and then abandon). You can use the Audience retention report to get an overall measure of how well your video keeps its audience. Average Percentage Viewed: The percent of each video the average viewer watched. Anywhere above 60% is a really good. This report shows the sites and YouTube features that viewers use to find your content. It’s great for understanding and evaluating which marketing channels are working for you. After reviewing your reports, it may be time to make some adjustments. Don’t try to change too much at first. Work with what you have for a few videos and then, after gathering a decent sample size, make your adjustments by changing some of the these variables. 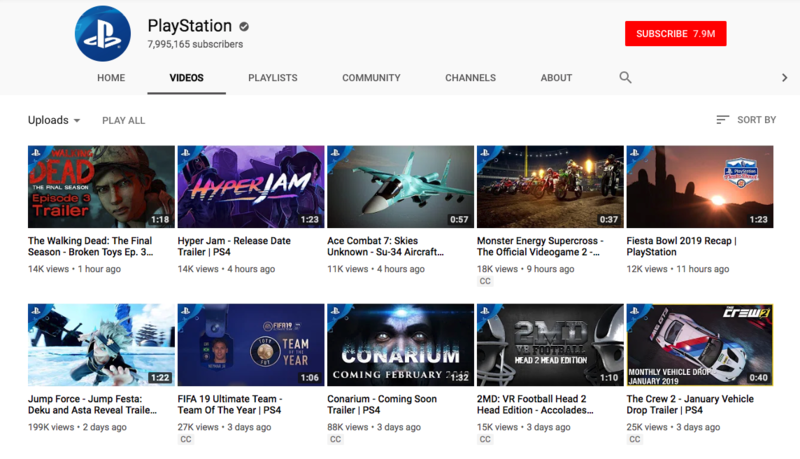 YouTube does not yet have an A/B testing feature, so you’ll have to use a third party if you really want to dive into this. Also, be sure you’re tracking and linked up with as many analytics tools as you can across all platforms (Google Analytics and Facebook Pixel especially). We hope this YouTube blog series provided you with enough information and actionable items to start a solid video ad campaign. We know it can feel overwhelming at first, but once you get going, you’ll be thankful for all the hard work you’ve put into it. As always, if you have any questions about it you can reach out to your friendly, neighborhood content creation agency. We’re on a YouTube advertising kick. 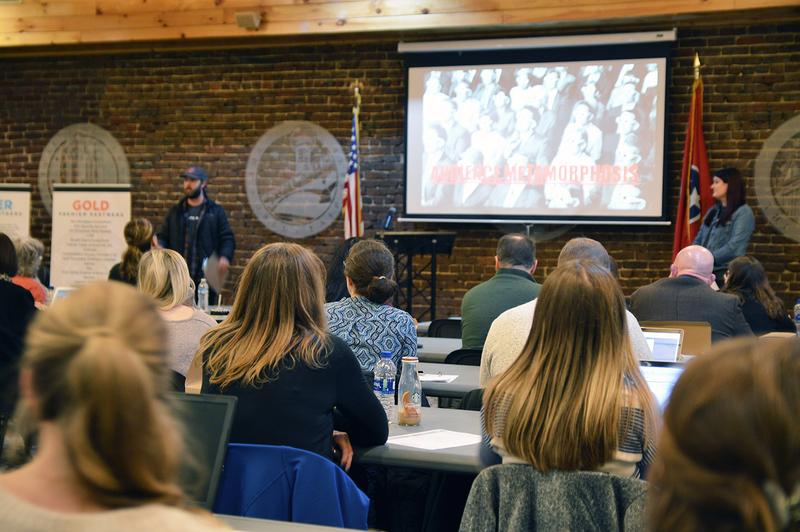 In case you haven’t heard – at the beginning of this year we spoke at the Knoxville Chamber’s Digital Marketing Series about YouTube and we’ve been sharing all that content right here on our blog! (If you missed the first two installments, you can click here to see the 8 Things to Get Right on YouTube AND click here to learn all about organic content on the platform). If you’re ready to take the leap into paid video advertising and make it a regular part of your content marketing strategy, you’ve come to the right place. In addition to driving organic traffic to your content, there are also several paid options for promoting your videos on YouTube to expand your reach. We’re covering all of them right here. Product + Brand Consideration: Get more people to consider your products or brand with video ad formats designed to encourage engagement. Keep in mind – there are other ad types that can be placed on Youtube (like graphic ads); however, we’re going to focus on the video ad formats you can utilize. The video ad content is hosted on YouTube and managed through Google Ads. These ads show up on Youtube via the homepage, search results, and related videos based on targeted keywords, chosen audience or placements. The ad consists of a thumbnail image from your video with some text, and it invites people to click to watch the video. The video then plays on the YouTube Watch page. Non-Skippable In-Stream Ads: Only offered to a high percentile of spending users. They are no longer than 15 seconds in the US, and the viewer has to watch it entirely. Skippable In-Stream Ads: Sometimes called Standard Video ads in Google Ads. Really, you have the most flexibility with this ad type as there is no limit to how long these can be. Shopping: Allows you to put up to six cards on your skippable TrueView ad to drive consumer action. You must have a Google Merchant Account to be eligible. In both skippable and non-skippable in-stream video ads, we recommend keeping ads between 60-90 seconds and having your logo or business name show up in the first five seconds. These are short six-second ads that are non-skippable. They should be catchy, simple ads that make a viewer want to visit your website. That’s right, you only have six seconds to catch someone’s attention – go watch some Vines (RIP) for inspiration. OutStream ads are mobile-only video ads that play on partner websites and within apps. It includes a logo, description (with a CTA), a link to your Youtube video, and a link to your website. These are great for driving traffic to your already existing Youtube account or website. We recommend only using this ad type when you have a Youtube page that is updated consistently with content, and as for your title – keep it catchy, creative and clear. People may only see it for a moment, so make them stop dead in their scroll. 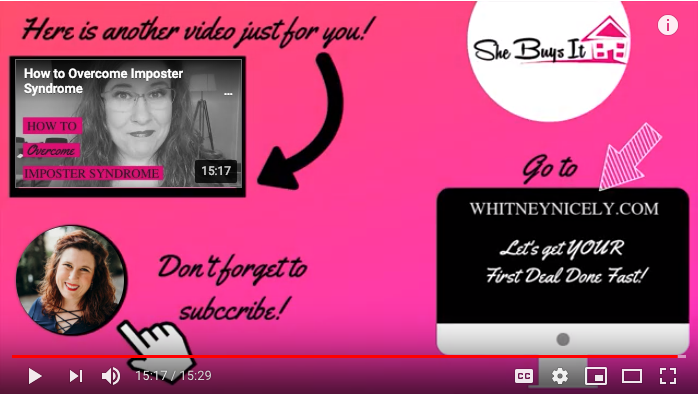 This is a pretty impressive ad type because you can actually send a consumer on a step-by-step journey using different Youtube ads. Each step has a distinct goal and can have different bidding strategies. In short, you can use In-Stream, bumper or a variety of both to take a consumer on a trek to purchase. This will take the most forethought out of any of these ad types. Yeah, we know that was a lot. So, we made a chart to help you out! We’ll cover that next in the fourth and final part in our YouTube blog series.